You know that English is the most widely spoken languages throughout the world and learning it has become almost must for every student living in any part of the universe. Now that you know it’s important to learn English as a second language and you you are worried to learn English. You don’t need to worry about it, just wake up! Turn on your computer. It won’t cost you anything; you can learn English anytime anywhere. How is it possible? You might know that lots of colleges have online courses but they can be expensive, though, and often take a lot of time. But a different kind of learning is becoming popular which will help you to learn English language. Below is a list of the best free websites to learn English. 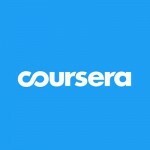 Massive open online courses are on the internet, which is open to anyone to enroll. Most of the times these courses are taught by real university professors, and they’re usually free. You can learn from anywhere it’s free and you can drop out anytime when you don’t have enough time to finish your class. You can start and stop anytime. If you have just started learning English LEO network is a good place to enhance your English. It has been helping people to learn English for free since 1999. The website has different courses for different levels. English Basics: This course helps you to learn basic and fundamental roles of the English language. English Grammar: This course is a guide to English grammar, including the most important grammars which will help learn essential grammars. English Vocabulary: This page is organized to help you build your vocabulary power and including lots of pictures and sounds of different stuffs. English Pronunciation: Pronunciation matters. This course focuses on accurate pronunciation and importance of it. Different lessons on English pronunciation and elocution which will help you to speak clearly. TalkEnglish.com is a good website to help you improve your spoken English free! It provides English lessons in the form of text and audio files. Categories consist of, Regular English, Business English, Traveler English, Interview English, and Useful Phrases. Message Boards, forums, or bulletin boards are other means used by TalkEnglish.com to help others learn English. Apps for Android and iPhones: Useful apps to learn English for Android and iPhones which will help you learn to speak English, Learn English vocabulary, English conversation practice and English listening. Speaking English lessons: Lessons which will help you to become a fluent speaker and improve your speaking skill. English listening Lessons: Listening lessons for all levels, Basic listening skills, intermediate listening skills and advanced listening skills. Alison is another great place to learn. It will help you to get a new job, a promotion, a college place or starting a new business, ALISON empowers you to improve your economic and personal circumstances. Moreover, Alison has an entire section of English language courses with lots of great English courses for different levels. Introduction to conversational English: In this course the basics of conversation English are covered and will help you to communicate in English with people. English Vocabulary and Pronunciation: Here you will learn how to improve your English vocabulary and pronunciation skills. The world’s online learning marketplace, where 10 million+ students are taking course in everything from programming to sports and much more. Each 40,000 courses is taught by an expert instructor. 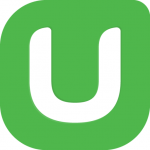 Udemy uses videos lectures, written materials and quizzes to help you learn. You can watch a video or read a lesson, then test yourself to make sure you understood. Not all the courses on Udemy are free, but there are a good number of free courses to help you on your field. Writing Basics: Learn the basic technique used by the most effective writers. The course has 15 lectures within 1.5 hours. Advanced English Grammar: A course to help learners of English with the advanced grammar skills. The course has 51 lectures within 6.5 hours. This website is recommended for advanced learners. You can choose from hundreds of courses created by world’s top educational institutions. Learn on your own schedule. Watch short video lectures, take interactive quizzes, complete peer graded assessments, and connect with fellow learners and instructors. Improve your English communication skills: This course is intended to help you improve your professional communication in English for successful business interactions. Academic English: Transform your writing skills and succeed in any college-level course or professional filed. The course has 4 courses with projects and certificates. The list of best free websites to learn English mentioned above are just a good source of learning English. But remember to master your English it needs time and practice. You won’t enhance your English unless you struggle and practice on a daily basis. Please feel free to share your feedback about the post I the comment box below.